The Expressions of Interest process for independent artists and producers to attend ATF 2015 closed on Monday 18 August, 2014. 250 Expressions of Interest were received, and were assessed by a panel of local peers in each state/territory (see list below). 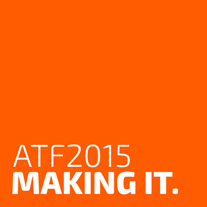 The final approval was made by the ATF team, and 100 independents from around Australia were chosen. We prioritised producers and artists who are Aboriginal and/or Torres Strait Islander, those from Culturally and Linguistically Diverse backgrounds, and those with disabilities. We also ensured a mix of age groups and gender, and ensured there were delegates from regional and remote areas as well as capital cities. In those states and territories considered regional and remote, we chose a higher number of delegates than the per capita rate: South Australia (7%) we selected 13, Tasmania (2%) we selected 5 and Northern Territory (1%) we selected 4. In addition, from WA (11%) we selected 12, from ACT (2%) we selected 5, and from the larger states (Victoria, New South Wales and Queensland) we selected slightly fewer than the per capita rates. Stay tuned for updates via Facebook and Twitter.